AMBUSH has its roots in experimental jewellery but extended in 2016 when it showed its first ready-to-wear collection. Helmed by Yoon Ahn and Verbal, the brand aims to deliver a personal, Tokyo-leaning aesthetic. 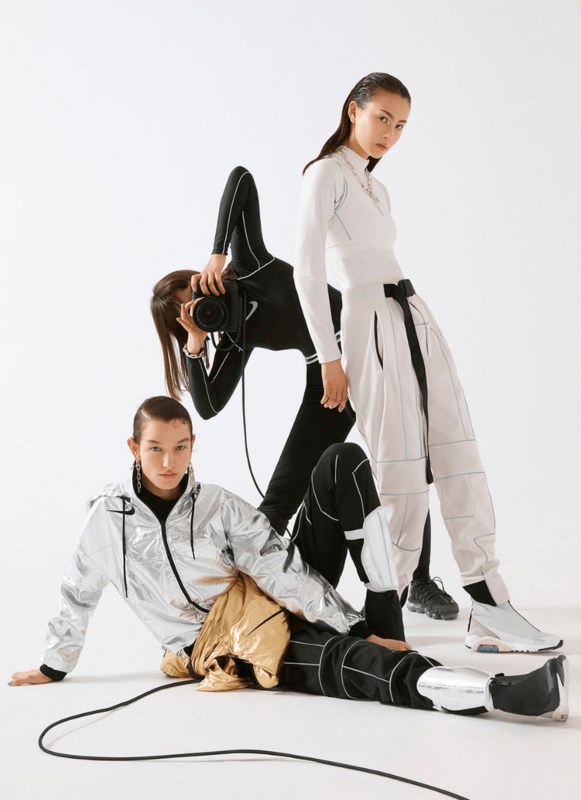 In their new collaboration with Nike, East meets West in a functional futuristic new collection. This is no different to Yoon’s vision for the Nike x AMBUSH collection. The collaboration includes two coats, a reversible track jacket and a luxurious faux fur jacket. These are complemented by a DRI-Fit Stretch bodysuit, crop top and fleece pant. or footwear, Yoon chose the Air Max 180, which she has an unbreakable emotional attachment to. “The Air Max 180 is the first pair of sneakers I ever bought with my own money. I wanted it so badly, having seen it in the pages of a magazine,” says Yoon, who saved by balancing home chores with work in her local library. Her design takes the iconic runner to a new dimension by mixing it with elements of another Nike classic, the Air Zoom Flight. The Nike x AMBUSH apparel collection is available in stores now. The Nike x AMBUSH Air Max 180 will be available in spring 2019.